*Sponsored Post: I was hosted by this Inn, however, all opinions are my own. See disclaimer here. When you're looking for a place to rest your weary feet (or stretch your bottom, if you road trip as much as I do), what do you look for exactly? Charm? Style? Comfort? Location? Affordable pricing? 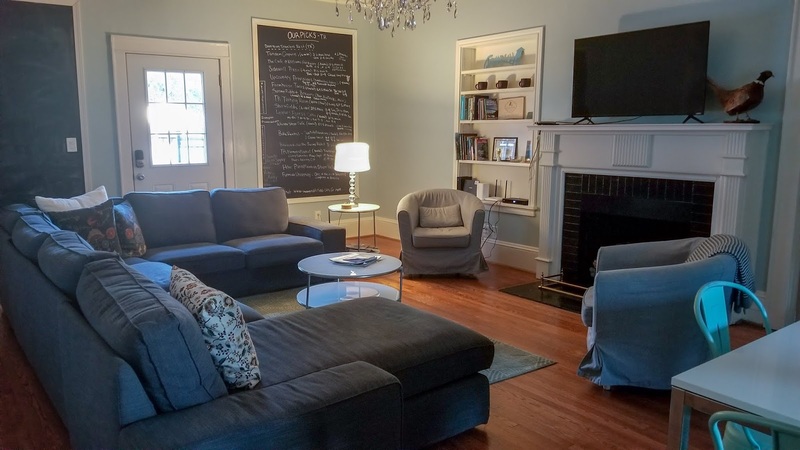 Previously, I told you about the Swamp Rabbit Inn Greenville, SC location. That place is GORG-EOUS and just blew me away! When given the opportunity to work with these lovely humans again, I was thrilled.. To say the least. This time, though, we stayed at their Travelers Rest location, which is just a little bit north of the Downtown Greenville property. 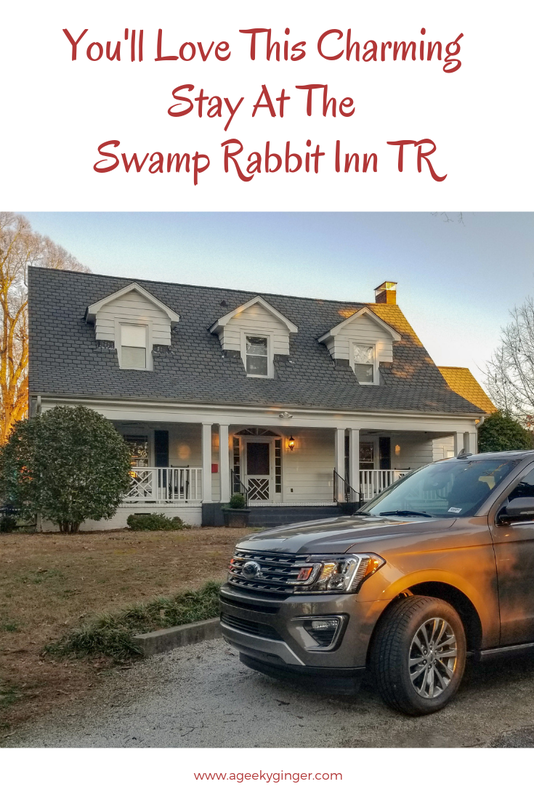 As soon as we drove up to the Swamp Rabbit Inn TR house, I was in love. 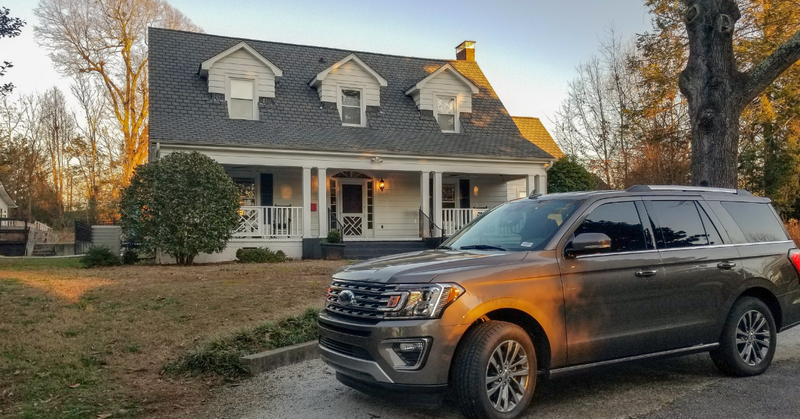 It is tucked behind trees and bushes, that I almost drove by it (ok, I did drive by it..), and gives it this feeling of seclusion.. even though you are on Main Street in Travelers Rest! I loved that, because it gives this extra bit of privacy from the main road. When I walked inside, I immediately noticed the wallpaper. I don't know why. But I thought to myself "My mom would love this..". Probably because it felt like an homey little cottage. 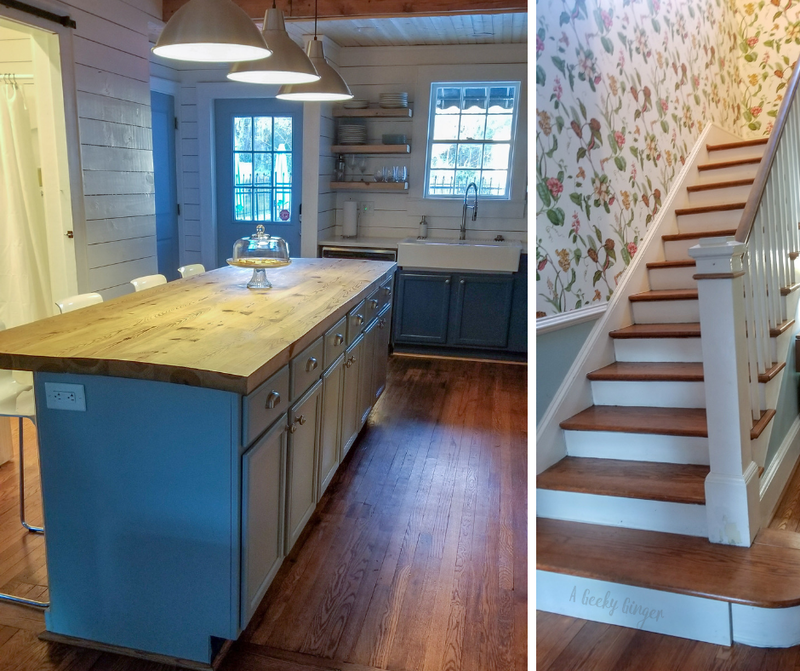 But then you turn and you see the living room with modern furniture, and the kitchen with all the updated appliances and fixtures, and you're just wowed! All of the great details of an old house, exquisitely partnered with the modern features and conveniences we know and love! How can you go wrong? Remember, this is a bed & breakfast, so it's absolutely a shared house. But you don't even feel that way once you're inside here! Each bedroom has it's own keypad with a specific 4 digit number for you (it's changed for each guest), so you can go in and out of your bedroom, knowing your belongings are protected and you have all the privacy you need. 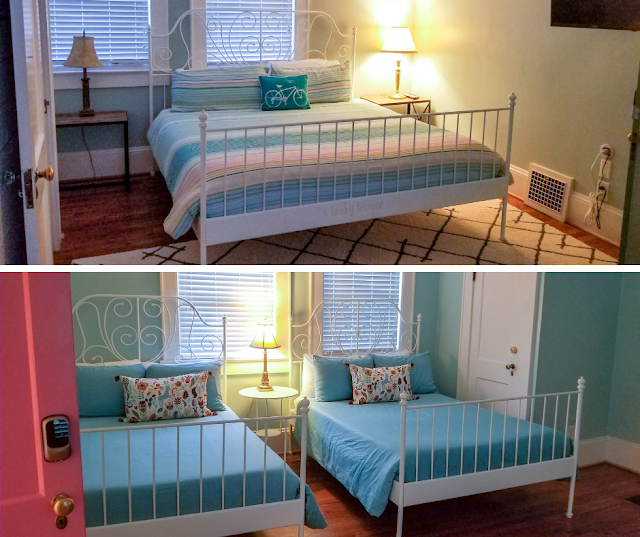 For our visit, we were staying in the two upstairs bedrooms (Camelia & Azalea). These rooms had private bathrooms that are fully equipped with everything you need. You have Wi-Fi, cable TV, sitting areas, your own Keurig to use, and beautiful windows looking out to the front of the property. They were absolutely stunning rooms and, quite frankly, the bed in the Azalea room made me not want to return home... That was a glorious sleeping experience. The Swamp Rabbit Inn TR location also has a pool (yay!) with a beautiful lounging area around it. I, unfortunately, did not get a good photo of this... because it rained the whole time we were there. But trust me, it's amazing. If you don't trust me, check their site. Honestly, though, my favorite part about staying at these properties, is how homey it feels. 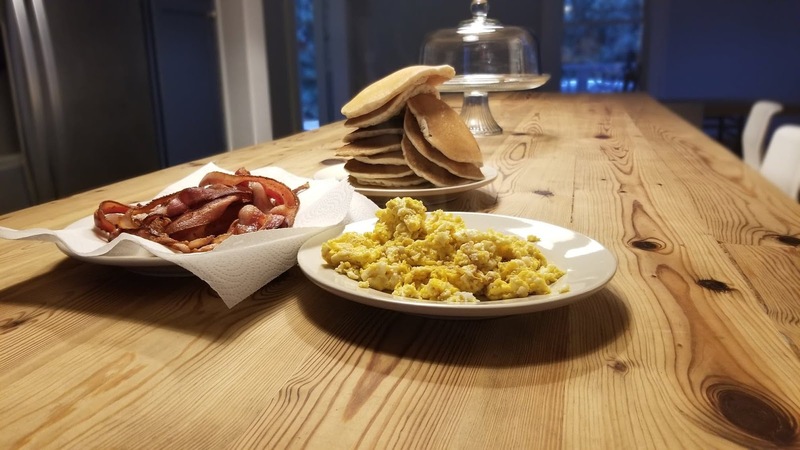 You can hang out in the living room, make breakfast (with breakfast items THEY provide), cook any of your meals, or even play some board games. It's just a nice way to spend a weekend or a week long vacation! With all of these amenities, it still is an affordable place to vacation! Find a time to visit Greenville, and absolutely stay here! It's SO worth it. Have you ever visited Upstate South Carolina?? What was your favorite thing to do?